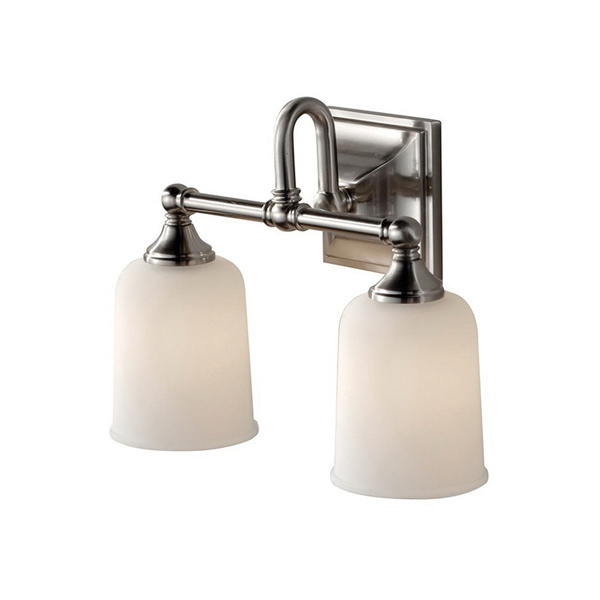 Murray Feiss Harvard Collection light vanity strip in chrome finish, features steel/zinc/glass construction. The 4-1/4-Inch Dia x 5-1/4-Inch white opal etched glass shade brings elegance to the home. The vanity strip uses two 100-Watt incandescent lamps. The medium socket vanity strip has voltage rating of 120-Volts. The vanity strip has 6-Inch extension from wall and 8-Inch lead wire for hassle-free installation. This vanity strip has 4-5/8-Inch x 4-5/8-Inch x 1-5/8-Inch base backplate. It has a dimension of 14-Inch x 10-1/8-Inch. Vanity strip is suitable for damp locations.